China in Ten Words (2012) explores the way modern China talks about itself and probes what that tells us about its past, present and likely future. 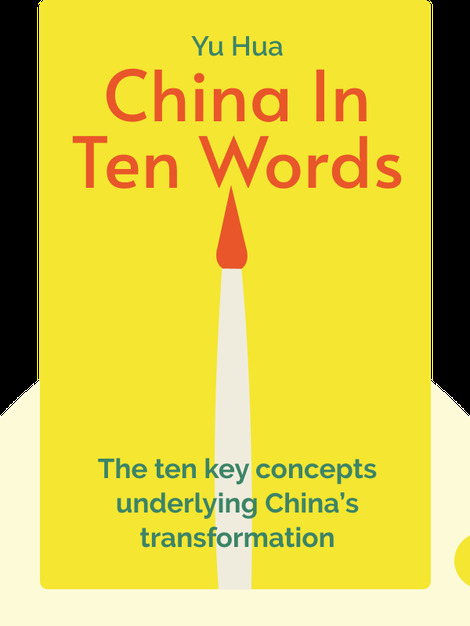 Honing in on ten common concepts, author Yu Huan tells the story of a nation that has seemingly changed beyond recognition, yet in many ways remains closer to its revolutionary origins than one might believe. 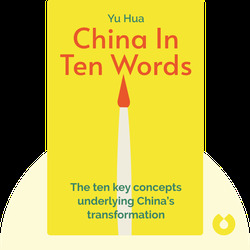 Yu Hua is a Chinese author who has written four novels, six short story collections and three volumes of essays. Acclaimed in both China and abroad, his work has been translated into over 20 different languages. Yu became the first Chinese citizen to win the prestigious James Joyce Award in 2002.